Though the bubbly invitations have been sent for Apple's Sept. 10 Cupertino event where we might finally see the iPhone 5S and iPhone 5C, recent reports once again, show a darker side of Apple. China Labor Watch released a statement today about the conditions of Jabil Green Point, a U.S. owned factory in Wuxi, China purportedly producing the cheap iPhone. Apple has already been in hot water earlier this summer when the Watch reported labor violations at Pegatron facilities. 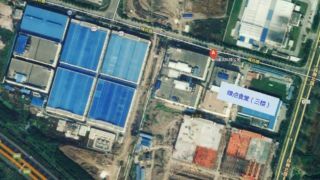 Poor working and living conditions, and the use of underage employees at Pegatron, were similar to previous investigations of Apple's other major supplier, Foxconn. Does Apple have a rotten core? Just like the other two factory labor abuse reports, the Wuxi location seems to bear the same issues. Workers are forced to take on 11-hour shifts, mostly standing and with only 30 minute breaks to eat, 110 hours of overtime is mandatory where certain amounts are unpaid, dorms have eight people per room with workers sleeping in shifts - and the list just goes on and on. CLW backs up its claims with photos shown in an English report on the site. Combined with the information provided by the undercover workers, it doesn't paint a pretty picture of Apple. With more and more news of poor conditions surfacing, it seems like Apple will really have to step up its game to monitor production factories, and hopefully soon. With less than a week to go, rumors abound about Apple devices.